Gov. 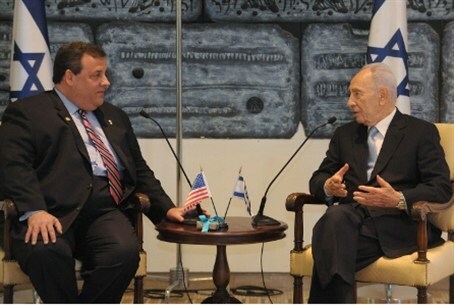 Christie’s visit to Israel left him with a stronger view of Israel’s need for land for security. He may be Romney’s running mate. New Jersey Governor Chris Christie’s visit to Israel this month left him with a stronger view of Israel’s need for land for security. He may be Mitt Romney’s running mate. Notably, Gov. Christie did not visit the Palestinian Authority during his trade mission visit, a fact that was not overlooked by Arabs. Aref Assaf, president of the New Jersey-based American Arab Forum think tank, wrote on NJ.com he had invited Gov, Christie to visit his mother in the town of Kalandia, near Jerusalem. Following his trip to Israel, Gov. Christie said his helicopter tour of the country, particularly over Judea and Samaria, taught him the relationship between distance and security in Israel. Last year, Gov. Christie rejected encouragement to run for president, but he now is considered one of the leading candidates to run for vice president along with Romney, who has the presidential nomination in the bag. Although he did not visit the Palestinian Authority, Gov. Christie spent a weekend visit with King Abdullah II of Jordan.